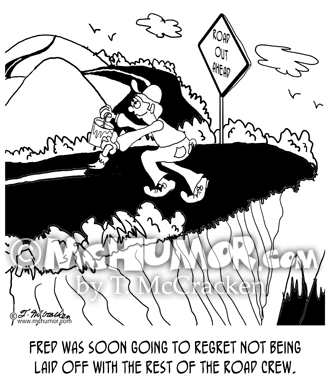 Road Construction Cartoon 6533: A road sign, "Speed Limit 20 MPH. 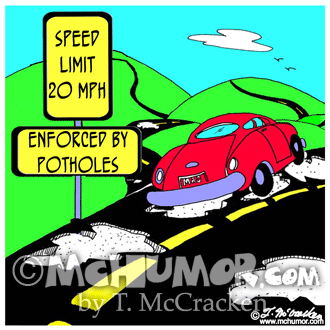 Enforced by Potholes." 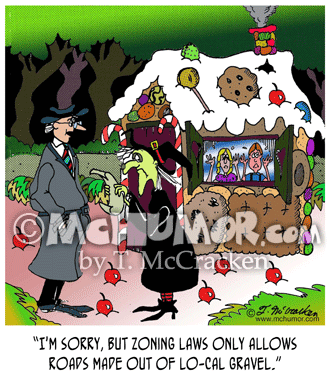 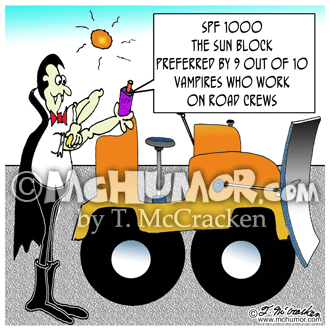 Construction Cartoon 8155: Dracula in front of a bulldozer applies a lotion, "SPF 1000, the Sun Block preferred by 9 out of 10 vampires who work on road crews." 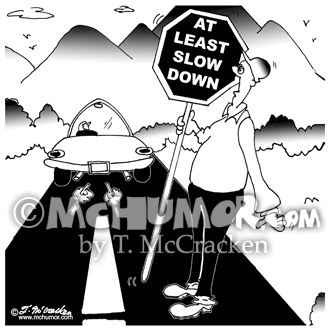 Road Construction Cartoon 6108: A construction flagman with a sign, "At least slow down." 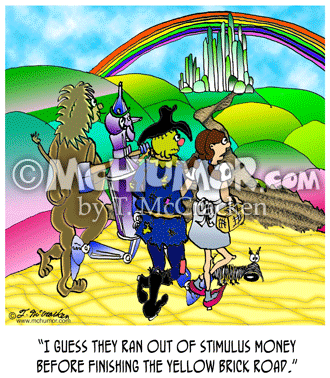 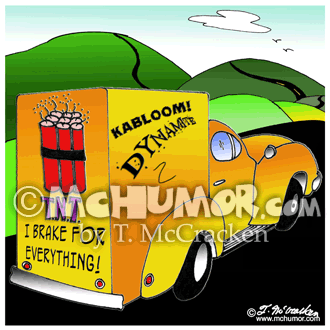 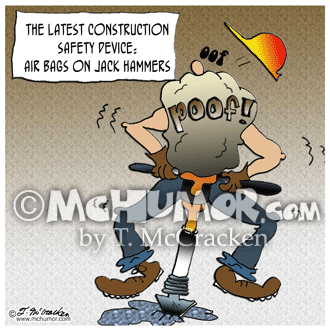 Construction Cartoon 8247: "The latest construction safety device: air bags on jack hammers." 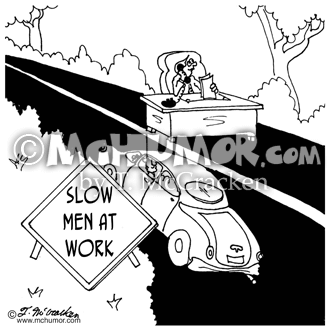 Office Cartoon 6635: A traffic sign says, "Slow Men at Work." 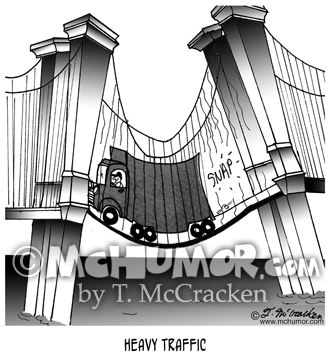 In the middle of the road is a man working at a desk.